In this time of economic and job uncertainty, there is more need than ever for professional resume writing services. It’s an unprecedented tough job hunting environment out there right now for laid off executives and professionals of all types. It seems like no one is being spared the pink slip – including hiring managers. With fewer job opportunities, and employers being reluctant to hire people who are perceived to be “over qualified”, meaning they don’t want to pay you the kind of money they know you’re worth, there needs to be some way to break through all of the walls that have been put in your way of landing meaningful employment. Maybe you’ve submitted your resume to dozens of places, only to be either completely ignored, or passed over by someone who has a slight edge over you. There may be times when you just feel like giving up and resigning yourself to working a low wage job just to make ends meet. That’s understandable. The job market is tough right now and even people who were once high-flying executives are finding it hard to get an interview. What many professionals tend to overlook, when searching for a new job, is the quality of their resume. You may think that all of the information highlighting your years of experience is enough to get an employer interested, when in reality, they aren’t doing anything but quickly scanning over it and deciding whether you’re interesting or boring. Employers are being swamped with resumes from all kinds of people these days. There are literally thousands of people who have your same level of experience and qualifications. 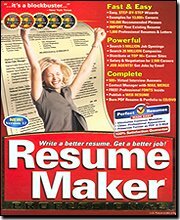 So, what’s going to make an employer pick your resume out and put it in the “interview prospect” pile? One thing is for sure, a dull, uninspired resume isn’t going to do it. There are plenty of out of work professionals with masters degrees that proves that. Just because you’re smart and talented at what you do, doesn’t mean it comes across well in your resume. If you used one of those rigid online templates to structure your resume, and, used the same old cliched language to describe your job skills, then you’ve made it much harder for your resume to be a good promotional tool. And, that’s what it is, you know. Your resume isn’t just some descriptive words thrown together, it’s really a sales tool that has only one job – to make you look like a candidate an employer would love to have around. Unfortunately, a majority of professionals are not taking advantage of services that can help them find a professional job, that can keep them in the lifestyle they now enjoy. This is too bad, because by making a small investment in professional or executive resume writing services, many more people would be saved from months of worry and frustration. A professional resume writing service can make your resume tell your story in an interesting way that causes a hiring manager to sit up and take notice. They will talk with you about what you do best, then write down all of your strengths, in powerful words, that speak strongly to your value as a potential employee. However, none of this can happen unless you take the first step in doing more research into resume writing services. There are several good ones online, but there are also some scams out there too. In order to receive the best value for your investment, be sure that the service charges a professional rate, and gets a thorough personal profile from you, which helps them to craft a top quality resume. This is definitely an area where you get what you pay for, and you need a service that takes resume writing seriously.